Chapter seven in the Gospel of Mark (7:32-36) tells the story of Jesus healing a person who is deaf and has a speech impediment. Can you imagine what it would be like in 1st century Israel if you were deaf and had a speech impediment? You would be an outcast, most likely a poor beggar. You might be considered cursed in the sense that your physical disabilities were punishment for something you or your ancestors did. You would be considered unclean in the eyes of the Jews, and therefore unwelcome in worship.I imagine you would feel very sad, excluded from the good things in life, and perhaps even betrayed by your family or god. Surprisingly, the person in this story actually had people who cared enough about them to bring them to Jesus and beg for them to be cured of their impairments. Not only were they cured, but they must have also been healed emotionally and spiritually as their relationships were restored, as they were able to worship again, and as they could now marry and be a productive member of society. It was nothing less than a new life. Sacred Journeys was not simply born from a place of vision, hope, and a sense of calling, but from an experience of deep hurt, exclusion and betrayal. Over time, not only did healing happen, but new life emerged. Jesus is the model of wholeness, and in that wholeness he reaches out to help others to heal and find their own wholeness. It seems to me that the key piece of this Mark passage is where Jesus commands the disabled person to “Be opened.” In opening their hearts and souls they could see and hear once again. 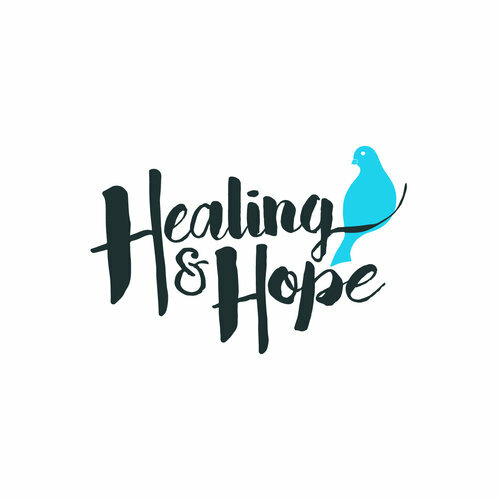 I believe it is in our “opening” as a community and as individuals that we strive to emulate the wholeness of Jesus and experience healing and hope for ourselves and others. I am firmly convinced that healing will never happen if we remain closed. Burying the past or living in the past keeps the door to emotional and spiritual healing closed. Rachel Remen, in My Grandfather's Blessings, tells a story about a woman (I'll call her Andrea) whose 15-year-old son had drowned. Healing from this took her more than 18 years and essentially happened because she was able to open to it. Having come through the pain and loss, Andrea began working with groups of people with cancer, helping them to move through their own grief and losses "in order to connect back to the place in them that is coherent and whole. Speaking of this she says, 'For me, the loss of my son went from a singular event to something that is woven into the fabric of my being. It is always present to me, part of my work, part of my experience Having experienced that deep a grief, that suffering, I am no longer afraid to go back there. I have been around it and with it and come through it and I know it very well. I have also somehow survived it.'" The people in her groups seem to sense this. They see that she has opened to her grief, allowed herself to touch it and be with it and isn’t afraid of it anymore. It gives others permission to go to that place of grief or suffering, to acknowledge their losses and their deep significance of that pain. Not only did Andrea accept and open to her own brokenness, but she showed herself compassion and was then able to walk compassionately with others as well. Sometimes we resist healing because we’re afraid to let go of the anger or the hurt… somehow we think that means we’re letting go of the person, or the meaningfulness of the situation. But this woman was able to let go of her anger, and fear without letting go of the love for her son. In fact, that love simply became part of the tapestry of her life, something beautiful that deepened her emotional and spiritual connection with others. Healing brought hope not only to her life, but to the lives of others who could see in her that healing was possible. I’m not sure which comes first, healing or hope. It seems like as you heal there is more hope for the future, but I also think it takes that an often imperceptible nudge to even start us on the path toward healing. Ann LaMott says, “Hope begins in the dark…” like the tiny seed beginning to grow and reach toward sunlight. Or as Emily Dickenson says, "Hope is that thing with feathers that perches on the soul and sings without words and never stops. Hope is lightest touch brushing against the soul. On our mission trip to Appalachia a few months ago I randomly handed out special bracelets to our participants. Each one was made with twine and a washer, and each was engraved with a different word that we were invited to reflect on throughout the week to see how that word fit us. Mine said hope. As I reflected on it, I remembered how it had felt the last time I’d been on an ASP trip. It was in the summer of 2010 with a previous church and I knew at that point that I would be leaving the United Methodist Church. I thought for sure it would be my last ASP ever, and that I was extremely sad that I wouldn’t be able to bring my daughter on the trip with me. I had little, if any, hope at the time, and yet fast-forward eight years and here I was with a new spiritual community and a new group of volunteers. Healing had happened somewhere along the way, and hope was reminding me that it had never left me either. We don’t know what twists and turns life might bring us. It may feel like healing is impossible, it may feel like we will always be broken, exhausted and hurting, it may feel like trusting again is impossible, it may feel like the end of the road… but if we open ourselves to all of it, being gentle and compassionate with ourselves and others, allowing ourselves to lean on our support systems, watching for the movement of the spirit in the light touch of hope, letting go of anger and fear… healing will happened and with it hope in the future will blossom once more.